At our summer day camp, we offer campers the opportunity to express themselves creatively through a variety of outlets. Our campers may make a wind chime, weave a placemat or bead a necklace in Sundance, our Native American crafts program. Got a budding movie star? Our young actors and actresses perform in show-stopping musical productions throughout the summer. And our footloose dancers showcase their talent in our annual Gym and Dance Show! 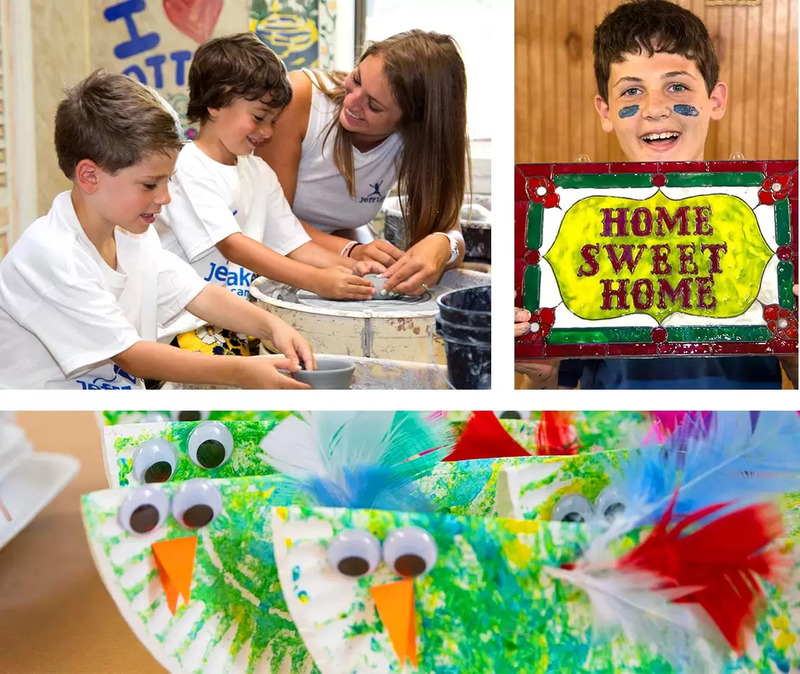 Jeff Lake’s expansive arts facilities — including our dance studio, pottery studio, art center and The Doris Edge Summer Playhouse — provide each and every camper the opportunity to tap into their creative side on a daily basis!